The Homicide Squad is investigating a fatal shooting that occurred in Hempstead Village on Wednesday, August 1st, 2012 at 8:10 PM. Hempstead, NY - October 12, 2013 - The Homicide Squad is investigating a fatal shooting that occurred in Hempstead Village on Wednesday, August 1st, 2012 at 8:10 PM. According to detectives, Hempstead Village police officers responding to a call for shots fired in the vicinity of 158 Lawson Street came upon a male in the street who had been shot. The victim was transported to a local area hospital by the North Shore Ambulance Service where he was pronounced deceased at 8:40 PM. 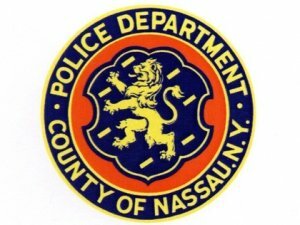 The investigation is ongoing and Homicide Squad detectives request anyone with information regarding this crime to contact the Nassau County Crime Stoppers at 1-800-244-TIPS. All calls are confidential and all callers will remain anonymous. The victim has been identified as Rameel Blanco, 30, of 158 Lawson Street Hempstead. Homicide Squad detectives report the arrest of Agdnan Mcleod, 23, of 827 Park Pl., Uniondale on Saturday, 10/12/13 in connection with the above listed homicide. The defendant was extradited from Sacramento, California under a Superior Court Arrest Warrant. Mcleod is being charged with Murder 2nd Degree and will appear in County Court on Tuesday, 10/15/13. Additionally, co-defendant Marty Wiggins, 27, of 2300 Central Ave., Baldwin, was arrested on Thursday, 08/16/12 and is being charged with Murder 2nd Degree. He was arraigned on Saturday, 08/18/12 in First District Court, Hempstead. Subject: LongIsland.com - Your Name sent you Article details of "NCPD Update on Homicide in Hempstead"